A good chunk of every medical visit is spent writing prescriptions. Before we had an electronic medical record, this was often an arduous task, leading to serious writer’s cramp. Now the computer makes it easier on the doctor, but it doesn’t seem to have much effect on the patient. An article in the Journal of General Internal Medicine highlighted what most doctors have suspected all along, that a good chunk for these beautifully printed, fully legible prescriptions never make it to the drug store to be converted into actual pills. The study utilized an electronic system to trace nearly 200,000 prescriptions. 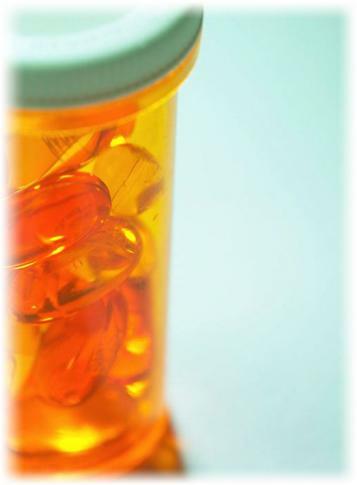 Between a quarter and a third of prescriptions were never filled. If a patient has a gassy stomach or some toenail fungus, ignoring a prescription won’t change much. But if a patient has diabetes or coronary disease, forgoing medications could be devastating. To a large degree I agree with them: medications have significant side effects, we should only use them when we need them. But then I see that my patients have no qualms about anything marketed as an herbal medication or a nutritional supplement. They take milk thistle, saw palmetto, valerian root, hawthorn, feverfew, glucosamine, co-enzyme Q, lecithin and carnitine without reservation. “It’s natural,” they tell me, trying to reassure me. But there is no piercing the logic. For a substantial number of people, medicine from a prescription is automatically suspect. But if it comes from a health food store, there’s not a hint of concern. Don’t get me wrong: I’m highly skeptical of the pharmaceutical companies. There’s no question that the primary profit-motive biases data. There are shoddy practices out there, and frequent recalls. I’m also a firm believer in healthy diet, good nutrition and taking care of one’s body. Nevertheless, the chemicals that are marketed as medications are subject to vastly more testing and quality control rules. The chemicals marketed as herbs or nutritional supplements are subject to almost nothing. The people dispensing advice on these supplements require no training or licensing. I could put anything from my spice cabinet or local garden into a bottle, label it Dr. Ofri’s Vital Health Booster, plop a price tag on it, sell it freely on the Internet and potentially finance my children’s college education. I try to tell my patients that they should be skeptical about anything that goes into their bodies, whether it’s a prescription from me, a nutritional supplement, a can of Coke with 14 spoonfuls of sugar in it, or a “low-fat” snack item whose ingredients require a PhD in chemistry to decipher. No matter what I say, though, many of my patients will continue to slip my prescriptions quietly into the garbage because they don’t “trust” medications. This skepticism can actually be healthy; I just wish it extended to all things in a bottle, even things marked as natural. Bottom line: if you are not going to take your prescribed medications, at least let your doctor know. She or he can tell you which of these medications are crucial and are probably worth taking, even if they aren’t “natural”. She is the author of "What Doctors Feel: How Emotions Affect the Practice of Medicine". She is an associate professor of medicine at New York University School of Medicine and has cared for patients at Bellevue Hospital for over two decades. She is a regular contributor to the New York Times' Well blog as well as the New York Times' "Science Times" section. She is the editor-in-chief of the Bellevue Literary Review. Her writings have appeared in Best American Essays and Best American Science Writing.